The Think-ets Video! Fun with think-ets, for the whole family. Video interview with Randy Compton, co-founder of Think-a-lot Toys, by iParenting Media Awards. Think-a-Lot Toy’s “Think-ets” Is the Fun Intelligent Choice. 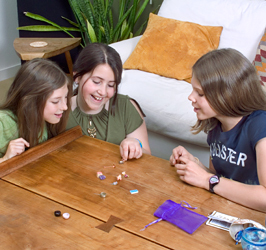 Think-ets: Small, portable game is big on fun! 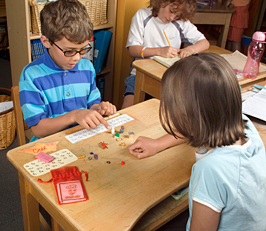 Creative Pocket Game for Vacation Travel, Visits with Grandparents, or Anytime! Product Review: Toys/Games/Kidstuff. Think-ets brings peace of mind to parents and enhances critical thinking. “We find your Think-ets a delight. Our two granddaughters, ages 6 and 10 often come to our house, individually or together. We have a large collection of small toy figures: zoo and farm animals, story-book characters, dragons, unicorns, and whatever the plural of Pegasus is, plus a lot of small building blocks. The girls often go into the living room by themselves, select a group of these toys, and put on a tea party, a story, or an adventure. I would love to be a fly on the wall to hear what they do, but it is their activity and want no adult intervention. We also have a mantelpiece collection of Zuni fetish animals,small carvings that we get from a friend who teaches English as a secondlanguage to the Pueblo children. When we bring out the Think-ets - and, given a choice of activities, the girls often ask for them - we usually do stories. The girls ask for specific animals from the mantelpiece to supplement the objects provided. "A bear" is a common request, but we also use skunks, turtles, rabbits, mountain lions, etc. Stories ramble and go on until we run out of objects. Grandfather has become the subject of a special rule, forbidding me from ending a story line when it is my turn. The memory game and its variants are a favorite of mine from the "jewel game" in Kipling's Kim - dreadfully racist in the casual Brit style, but still a treasured book from my childhood. Your sets of objects are perfectly suited to an introduction to that game. I think the purchase was one of the best toy buys I have made. The "story creation" games are the hot item right now with our girls. A perfect activity for empowering their senses of self worth and creative freedom. As you are well aware, a central virtue of your product is the range of activities it offers. “Very fun! There was much laughter over the stories! “My children and I play Think-ets when we’re waiting in the car, at a restaurant, or sometimes during a quiet day at home. At different ages, they go through stages of which games they like to play. There was a real memory fascination stage as well as a storytelling stage, which is my personal favorite. Since I am an artist, I often add my own miniatures to the collection to surprise them and to make the game more personal for our family. It is a great way to unite as a family and to get your creative juices flowing! "My family and I have had some rollicking good times playing Think-ets. It's a terrific game for both sides of the brain!" iParenting Media Award Winner 2008 - The iParenting Media Awards program is the only product review and awards program in the industry that has attained ISO 9001:2000 Certification from the International Organization for Standardization (ISO). ISO is the world's largest developer of standardization regulations, and ISO 9001:2000 is an internationally recognized standard of quality assurance. Only a fraction of the companies that attempt this certification achieve it. 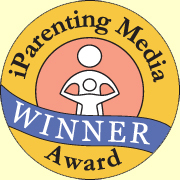 The iParenting Media Winner Award signifies an outstanding product. 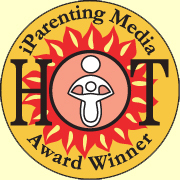 iParenting Media “HOT” Award Winner 2008 - The iParenting Media Hot Award is a trend-setting award signifies that a product appeals to those seeking the latest in “hip” or “hot” merchandise. If you have played Think-ets and want to add to our testimonials, send us an email! The Toy Man Award of Excellence - The products which become recipients of The Toy Man "Award of Excellence”, are part of a limited number which rise to the very top in their evaluation. They demonstrate quality in design, safety, and value, and in their evaluation results they receive a rating of “5” which is the highest level available. The Toy Man Editors Choice Award (a.k.a. eChoice Award), 2007 - This is more than just an award, this is the "brass ring" so to speak; the award that serves as an emblem of recognition for products / services which contribute substantially to positive productivity. This productivity is measured in the value of potential cognitive/critical skill growth and/or overall improvement in an individual or group. 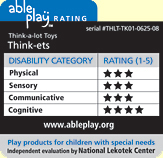 An AblePlay Rating is designed to give you a snapshot of a toy’s appropriateness for children with special needs. We want to take the guess work out of making choices by providing the details that will give you confidence to find just the right toy for that special child. A strong rating in one category makes it a good toy. For example, take a product that receives 2 stars in physical, two stars in sensory, four stars in communicative and one in cognitive. This may be just the choice for those buying toys for children with autism and other communicative disabilities. In this case, a high rating in one category is exactly what this consumer needs. Seal of Excellence (Kid's Travel Games Category), Creative Child Magazine, 2007 - - The Seal of Excellence is a coveted award that is given to those products that exceed expectations based on the criteria for nurturing creativity and education in children. • Worthy of Attention, Dr. Toy, 2007 - Dr. Toy received the information on our product in September, too late for 100 BEST, but felt it was worthy of attention. • iParenting 2008 Media Awards Considers "Think-ets" an Easy Choice, February 5, 2008. • Hey, Mom! How do you switch on this game? New "Think-ets" Tiny Trinkets Game Grows Mega-Minds, January 23, 2008.